Premiere Pro’s audio effects fall squarely into two categories: completely utilitarian or disappointingly lackluster. The utilitarian effects like fill left or right, swap channels, channel volume, and others don’t need replacing because they do their simple jobs transparently. Effects like band pass, dynamics, parametric eq, and the noise reduction effects all perform poorly. What many people don’t know is that Premiere Pro supports common VST version 2 audio effect plug-ins, at least some of them. The problem is that Premiere Pro, being a 64-bit program, only recognizes 64-bit VST plug-ins. Not a problem if you have professional effect plug-ins; most of them come with a 64-bit version. But what if you don’t want to spend $200 on a compression effect? Three choices: you could mix your audio in Adobe Audition and spend time round-tripping normally simple mixes, buy a VST bridge like jBridge (Windows, Mac) to take advantage of the wide landscape of free 32-bit VST effect plug-ins, or you could take advantage of my research and grab some free cross-platform 64-bit plug-ins right away. My goal was a simple one: to find 64-bit VST plug-ins that were free and worked on both Windows and Mac. It was a lot harder than I thought. Mac guys, you really get the short end of the stick for this one. I’m sorry. MFreeEffectsBundle is quite a score, replacing most of Premiere Pro’s audio effects with higher quality, more flexible versions. 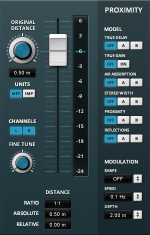 A better compressor, parametric EQ, bandpass, channel mixer, and more are available for free. The one drawback is that some more advanced features of each effect plug-in are crippled until you purchase a $39 upgrade. I didn’t find the missing features to hinder the usefulness of this plug-in bundle. 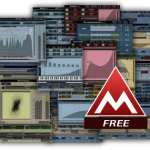 There are a few standout plug-ins within the collection like MLoudnessAnalyzer, MBandPass, and MUtility. 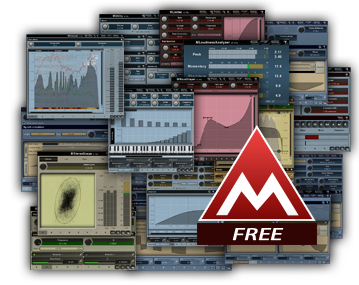 MLoudnessAnalyzer includes a k-weighted audio loudness meter which allows you to mix audio to ITU-R BS 1770-1 broadcast spec. It tested accurately against the infinitely more expensive, and admittedly more flexible, Waves WLM Loudness Meter. MBandPass replaces Premiere’s band pass, high pass, and low pass by combining a high pass and low pass filter into one effect. MUtility is interesting because it replaces your channel strip’s volume and pan effects. The big benefit is being able to mix the left and right channels to assign new left and right channels and still be able to independently pan the entire signal which is great for background ambiance recorded in stereo. Described as a distance slider for your audio, Tokyo Dawn Labs and Vladg Sound’s Proximity could be the one plug-in that easily makes lav mics feel more natural in narrative videos. Plug in the microphone’s original distance, pick your acoustic modeling options, and move the slider to change the emulated microphone distance. If you’re into great looking plug-ins, Proximity also comes in two handsome skins. Add TAL’s Chorus LX sparingly for subtle color on background music or as the base for some funkier sound effects. A no-nonsense analog-style EQ unit, Ignite Amp’s PTEq-1a allows you to apply EQ or analog tube emulation independently. For the more adventurous, it also allows you to boost and cut frequencies at the same time for some nice effects. If the PTEq-1a’s quality is any indicator, then the guitarists among us may want to pick up some of Ignite Amp’s guitar plug-ins. Some may not work within Premiere, but they will function in a 32-bit application like Adobe Audition. If you have some sound effects that could benefit from aggressive compression, then you should turn to Audio Damage’s Rough Rider. Unfortunately, I couldn’t find two items to make our new video audio effects suite complete: a free dynamics expander plug-in and a free, high quality, noise reduction plug-in. An expander works in opposition to a compressor: expanding dynamic range by making quite audio more quiet. It’s my secret weapon to gently reduce ambient background noise. Premiere’s expander within its dynamics effect is near useless because of its hard-pumping quick attack and release. I’ve switched gears to a paid plug-in: Waves’ C1 Compander. For the C1 to work, it needs to be rewrapped using Shell2VST on Windows; I’m not aware of a similar procedure for Mac. As far as noise reduction goes, I enthusiastically suggest Wave’s selection of restoration plug-ins. They aren’t cheap but they can save a project when you’re in a tight spot. The one catch is they don’t work in Premiere Pro so I have to move to Adobe Audition for heavier restoration work. Want a better way to transcode to Apple ProRes on a Windows PC? Want a savvy suite of tools for the RED editor? Fallen Empire is a Los Angeles based company that specializes in production and post production workflow support for the RED Epic, RED Scarlet, and RED ONE. Our affordable services allow filmmakers to concentrate on their craft and not their tools. From HD to 2K, 4K, and beyond we're here to keep things running smoothly under the hood. Check out our services by visiting our main site.